Pat Nevin has admitted David Luiz’s pace following his return from injury ahead of Chelsea FC’s clash against Southampton on Sunday afternoon. The Brazil international has enjoyed a second coming at Stamford Bridge after Maurizio Sarri replaced Antonio Conte at the west London side in the summer. Luiz was out of favour Conte during the Italian head coach’s second season in charge despite the South American playing a key part in their Premier League title success in 2016-17. The 31-year-old was linked with a potential move in the last two transfer windows but Sarri’s appointment has granted the former Benfica defender a reprieve. 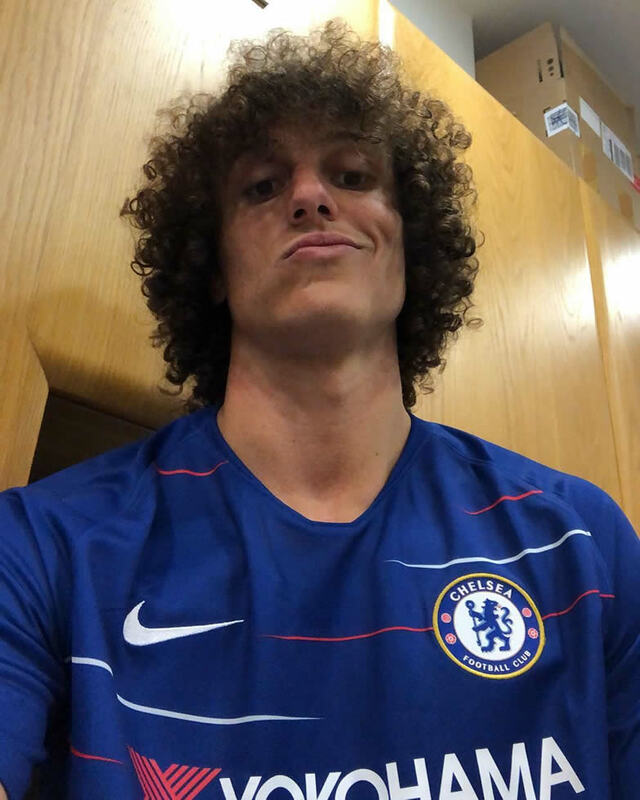 Luiz has started all seven of their Premier League games under Sarri so far to help the Blues make an unbeaten start to the Premier League season. Chelsea FC were 3-2 winners against Arsenal in their second fixture of the season before the west London side were held to a 1-1 draw with title rivals Liverpool FC last weekend. The 2017 Premier League champions have conceded five goals in seven outings in the English top flight to highlight their defensive improvement over the past few months. While Luiz has made a strong start to the season under Sarri, former Chelsea FC winger Nevin admitted that he still has some concerns about the Brazilian star. “I really like David Luiz as a player,” Nevin told Irish radio station Newstalk. Luiz moved to Paris Saint-Germain in a then world record fee for a defender in a £50m deal in 2015 after the Brazil international fell out of favour under Jose Mourinho at Chelsea FC. Conte re-signed Luiz two seasons later and the Italian manager started the versatile defender alongside Cesar Azpilicueta and Gary Cahill in their title-winning campaign. His energetic and passionate personality has made Luiz a firm favourite with the Chelsea FC supporters during his two spells at Stamford Bridge. Luiz has won the Champions League, the Europa League and the Premier League in his Chelsea FC career, while the South American has scored 15 goals in 206 games in all competitions. The Chelsea FC number 30 has been used as a centre-half alongside Antonio Rudiger in the Premier League this season after Sarri switched to an orthodox back four.